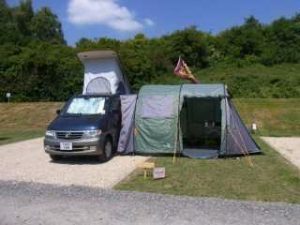 12/04/19: Easycamp Sebring 200 drive-away awning with internal double bedroom. Only used a few times, one pole replaced but no tears/holes and in good condition. Green/grey colour.